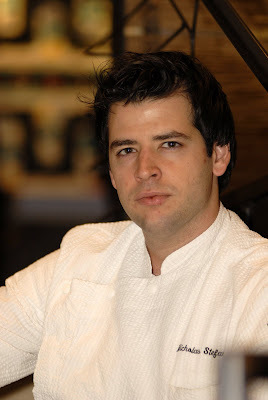 Mio's executive chef Nicholas Stefanelli has worked under Roberto Donna at Galileo and Fabio Trabocchi at Maestro in the Ritz-Carlton Tysons Corner. He accompanied Trabocchi to Fiamma in Manhattan to serve as chef de cuisine for a short stint, before returning to DC and taking over the kitchen at Mio. These are his Five Bites. I met Nicholas at the Cochon 555 event. He is one cool guy and not a bad cook either!